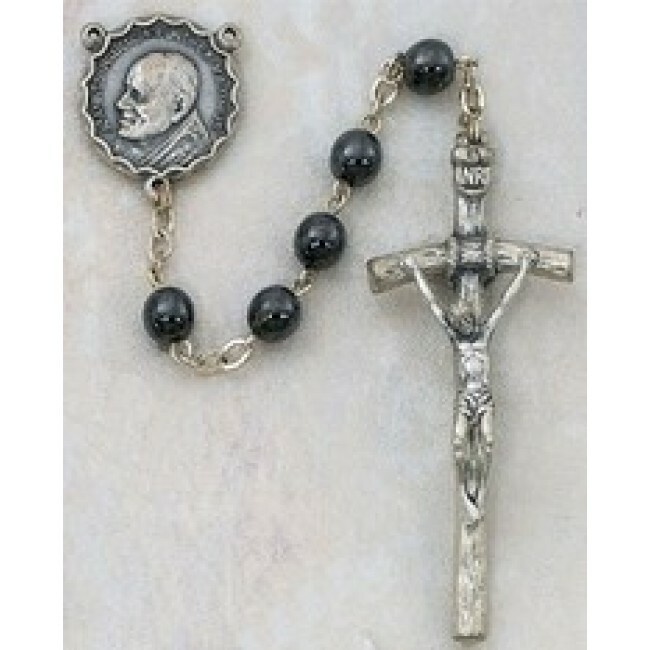 The Hematite Rosary with Papal Crucifix features Pope John Paul II as the centerpiece. The rosary is crafted with round hematite stones that give the piece a nice weight in your hand that lends comfort as you say your daily devotions. A large papal crucifix with a silver finish completes the design, honoring the late pope. The rosary is beautifully encased in a gift box and makes an excellent present for a first communion, baptism, birthday or other special event.